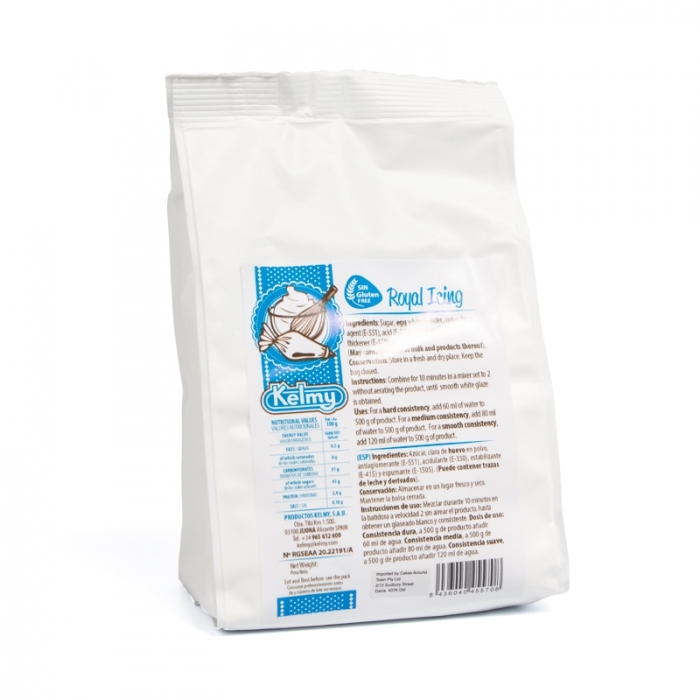 Kelmy Royal Icing is Gluten Free, suitable for vegeterians and has a Halal and Kosher Certification. Prepare your icing in a grease free bowl using the beater attachment on your food mixer. For a stiff Royal Icing, add 60 ml of water to 500 g of Kelmy Royal Icing mix. For a softer Royal Icing, add 80 ml of water to 500 g of Kelmy Royal Icing mix. For an even softer Royal Icing, add 120 ml of water to 500 g of Kelmy Royal Icing mix.